Fitbit Inc. is acquiring the wearable payments platform of startup Coin, with an eye on developing contactless payment features for future Fitbit fitness bands. The deal includes “key personnel and intellectual property” related to Coin’s wearables business, but does not include Coin’s core product—an electronic smart card that can be loaded with multiple payment, gift or loyalty cards, Fitbit said. However, a post on Coin’s Website says it will no longer sell the smart card product, and that the company’s rewards and developer programs are being discontinued. Coin announced its first wearables initiative early this year, when it partnered with MasterCard to help other companies incorporate NFC chips with payment capabilities into fitness devices, smart watches, jewelry and clothing. 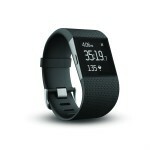 Park told Fortune that Fitbit has yet to decide how and when to incorporate payments into its product line. Fitbit competitor Jawbone partnered with American Express last year to add contactless payment capabilities to its fitness band. Apple Watch also supports NFC payments via Apple Pay, and Google teamed up with PayPal on a payments feature for its Android Wear smartwatch.